Subject to Tax" and "Tax Amount on Sales". However, the "Purchases Subject to Tax" and "Tax Amount on Purchases" are nil. If I click on the "HST" link in this report, the resulting transaction list shows only sales invoices, no vendor bills. I assume that since these tax values aren't appearing the Sale Tax Report, this means that they are not being debited to my HST Payable account. 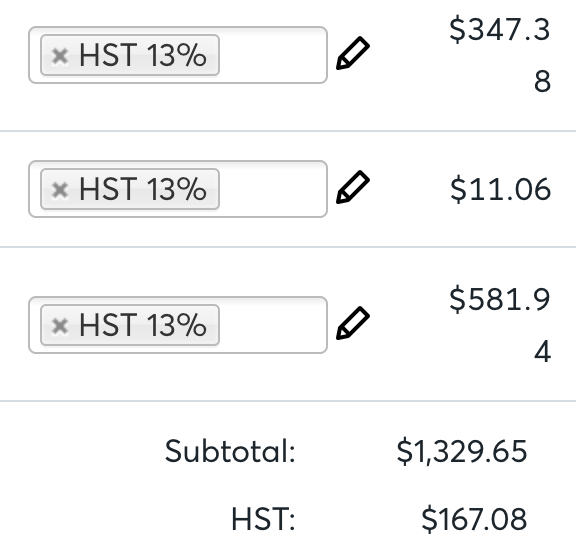 Is there additional configuration for HST payable that I have possibly missed? As this article notes, this option can not be edited. I will create a new HST account, configured properly, and use a JE to transfer the HST on sales over to the new account. Then calculate the HST portion of each of my expense accounts, and transfer those over as well.